Are you planning to visit one of the 10 best dive locations in the world? If yes, then your best bet is to visit Similan Islands in Thailand to book vacation rentals! This exotic destination is located 84km northwest of Phuket. Known as the best island groups of the Andaman Sea, their beauty lies under the crystal clear blue waters surrounding them. Wondering what really makes these islands so fascinating? The attractiveness lies in their beautiful and dramatic scenery. Here, you will find low-lying formations that are covered with thick forests. The islands are home to crab-eating monkeys, squirrels and many species of birds. The most striking and memorable sight of these islands are the huge boulders. They litter the shores of many islands on both the north and south. Another great thing here is the breathtaking views of the coral-sand beaches. You will find them deserted but they are splendidly picturesque. In addition to that, the most stunning coral reefs in the world are actually found beneath the calm waves of these islands. And the very same boulders that scatter the shores have turned the water around here into the most adventurous playground for divers. Interesting fact: The word ‘Similan’ means ‘nine’ and is derived from Malay ‘Sembilan’. The beautiful Similan archipelago consists of 11 islands in total. Each of these islands has its own name and number associated with it. Sometimes, it is difficult to book a stay on Similan Islands through the National Park System. However, you can choose vacation rentals on the beach as an alternative. This will mean staying in KhaoLak Island. However, you will find convenient transport to Similan Islands. All things considered, if you stay at KhaoLak, we recommend selecting one of these stunning resorts as your vacation rentals. Apsara Beachfront Villa and Resort – A four-star resort. It has impressive personalized facilities and services. You can visit the inland jungle terrain, explore the National Park and the stunning coral reefs of Similan Islands. La Flora Resort & Spa KhaoLak – An impressive five-star resort. It offers adventurous aquatic sports, tropical island tours, visits to national parks and the nearby Phuket and Karabi islands. Beyond Resort KhaoLak – Another resort that offers an intimate and romantic holiday experience with its idyllic beachside and luxurious accommodation. The resort also has diving and boat trips to Similan Islands and also has their own hiking trail. Above all else, the beautiful weather, stunning surroundings, sandy beaches, and turquoise waters will ensure Thailand remains a top destination for your vacations. Good article, I appreciate the effort you take in crafting this article. I have been to Andaman Nicobar Islands before, Similan beach resembles Andaman Nicobar Islands. All the resorts look amazing. 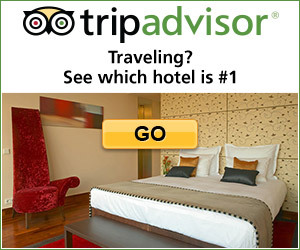 Can you suggest some budget options in 3-star hotels? I love the clear, sandy and shallow water in Similan Islands. Crab-eating monkeys? Wow, I would like to see that. I have read elsewhere that this beach is open to the public from 15 October until 15 May. Is it true? Thank you for your comment and great question. Yes, it is true. Mu Koh Similan and Mu Koh Surin marine national parks in Phang Nga are open to the public between 15th October and 15th May.